In this spooky episode, Toby, Kristen, & Rudy interviewed Keith Linder of the Washington State Poltergeist (Or also known on the Travel Channel's Ghost Adventures as "Demons in Seattle"). Keith tells us about living with this entity and a bunch of crazy stories. Keith's Page on Facebook https://www.facebook.com/Washington-State-Poltergiest-House-705963559540294/ FOR ALL OF KEITH'S VIDEOS https://www.youtube.com/channel/UCqEbwZ8f4PI4PY2m0FejXpQ Follow Keith on Twitter @macqdor https://twitter.com/macqdor Video Links we mention News interview: ----------------- Haunted House Oct 30th 2014 https://www.youtube.com/watch?v=yoSHzrH1pDw Throwing Candles ----------------- Ghost Throwing Objects https://www.youtube.com/watch?v=PFBtpo9OOU8 Bibles burnt ----------------- Haunted House - Demons In Seattle https://www.youtube.com/watch?v=uVZVtcjZzgo Die KL Card ----------------- Haunted House - "Die KL" https://www.youtube.com/watch?v=rX5PKCPhsck Drawings on walls ----------------- Haunted House Office Attack https://www.youtube.com/watch?v=Q3meCW-YznM Poltergeist - 2014 https://www.youtube.com/watch?v=cKnuX5gVsqc EMF scanned on Cross ----------------- Haunted House Missing Cross comes back gets EMF scanned https://www.youtube.com/watch?v=WO83zwWFTU8 Please come back and listen to more, as we... TRY TO EXPLAIN THE UNEXPLAINABLE! _______________________________________ Follow us on Twitter: @secrettranspod Our show is available on iTunes, Stitcher, Google Play and YouTube! 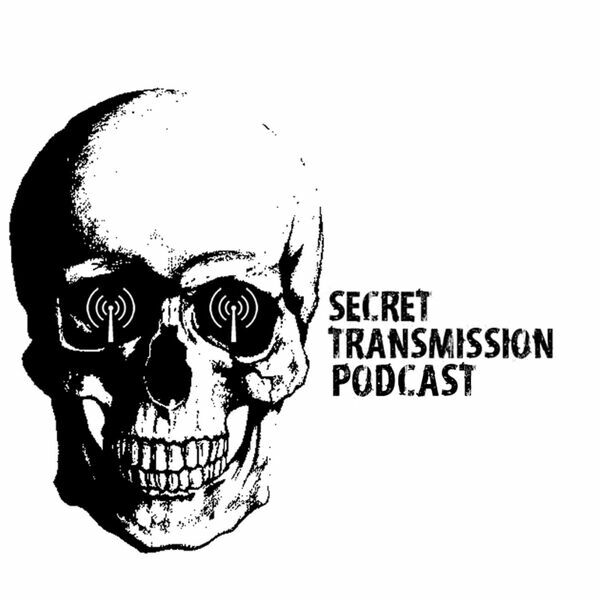 Just search for "Secret Transmission Podcast" Please contact us on any show suggestions or for general questions about anything! secrettransmission@hotmail.com Please subscribe, rate, and review! Thank you for listening!